Stand Alone Poser figure set of ducks, Mallards, Pintails, Wood Ducks. 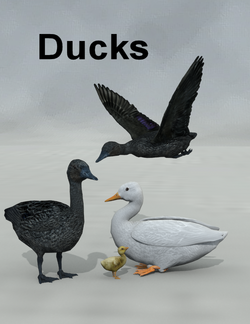 Includes males, females and ducklings. Poses for in flight and standing. This page was last edited on 4 April 2018, at 16:08.